When the griefers have logged off and things are quiet on the grid, a bot hunt can be a fun way to spend your time. I first heard about bot hunting in 2008 from Garth Goode’s blog. There was a 2007 series of articles in the Alphaville Herald called “The Great Bot Hunt,” part 1, part 2, and part 3. I went hunting and found some bots myself, but at that time I didn’t have a blog where I could record the results. According to Linden Lab, “A bot is an avatar which is controlled by a machine, rather than by a human.” LL further states that “Using bots to “game” traffic is not allowed. You may not attempt to gain an unfair advantage in search results through the use of bots to inflate the traffic for a parcel.” The first link says you can’t use bots for “increasing the parcel traffic by camping,” but the second link says “You do not need to file an abuse report for violations; Linden Lab monitors the search results.” So no ARs to the Lindens, but it won’t hurt to record the results here, and maybe if LL staff members ever use Google to look for bot hunting, they will find these pages and get their search results that way. 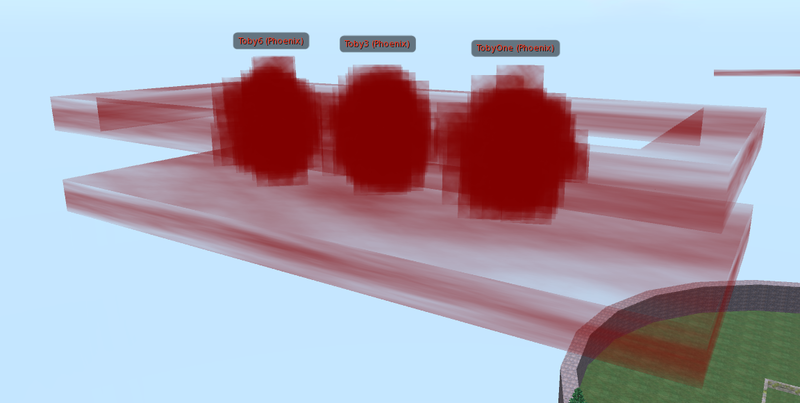 Avatars listed here as bots are presumed innocent until proven guilty, but these are pretty obviously attempts to increase traffic by camping in out of the way areas protected by security orbs or transparent platforms or whatever other schemes a sim owner can devise. So here are the first few results of the ongoing hunt. Click the thumbnail for the full sized screen shot. Bot hunting hones skills needed for locating objects and avatars. It’s fun, the hunting season lasts all year long, and there’s no bag limit. If you’ve found some bots you would like to report, contact me with the location and I’ll give you credit for the tip. Gallery | This entry was posted in Fun. Bookmark the permalink.